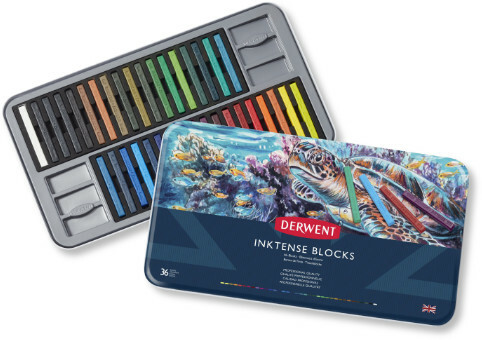 Derwent Inktense Blocks are perfect for covering large areas with the vivid, intense colours of the Inktense range. Use a little water to create beautiful jewel like colours. 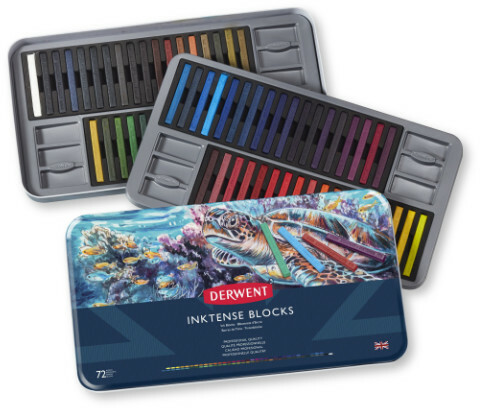 Inktense Pencils and Inktense Blocks have a highly blendable quality and come in a range of 76 beautiful, vibrant colours. 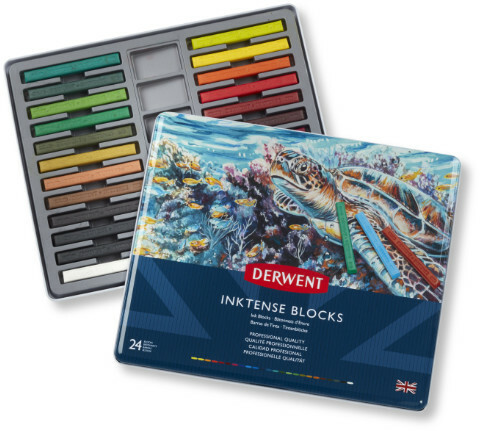 Inktense blocks are incredibly versatile, add water to get a vivid, ink like effect and, once dry, Inktense becomes permanent enabling you to work over the dry areas without affecting the layers of colour. Now available in the full 72 colour range of bright Inktense colours! The entire range of beautiful Inktense Blocks in a presentation tin! 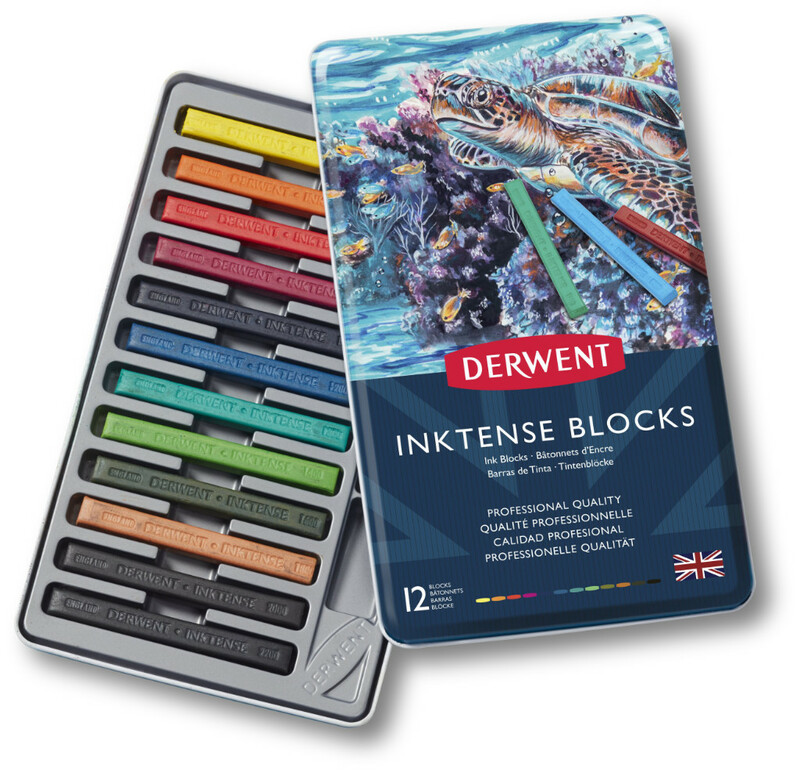 Derwent Inktense Blocks are a brilliant product which can be used in many ways to produce a range of effects. 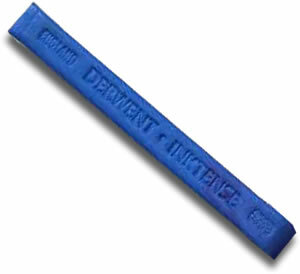 Once wet the blocks produce deep, vivid colours with ink like qualities that can be used on paper or fabric. The block shape means you can quickly lay down large areas of permanent colour or use the edges for more precise work.